A not uncommon scenario: after examining the charred debris of a property fire, investigators note that the building’s alarm failed to sound and automatic sprinkler system similarly failed to activate because neither had been inspected or maintained for over a year. The policy that insured the property conditioned coverage on the protective safeguards’ maintenance and functionality. 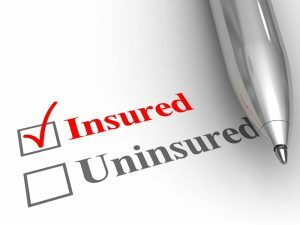 The insured’s failure to satisfy these conditions bars coverage for the loss. But the insured’s failure to satisfy the conditions does not necessarily foreclose coverage for others. Individuals or entities named under the policy’s “standard” mortgage clause or “Mortgageholders” clause in ISO forms are not subject to coverage defenses applicable to the insured, leaving insurers still potentially liable for the loss. Under a [loss payee] clause, a mortgagee is merely an appointee who receives insurance proceeds subject to its interest in the policy and to the extent of the insured’s right of recovery. The rights of a mortgagee under a [loss payee] clause are wholly dependent on the rights of the insured and are subject to all of the same defenses to coverage as the insured. A standard mortgage clause, on the other hand, creates a separate and independent contract between the insurer and the mortgagee. Under such circumstances, the mortgagee is liable only for its own breaches and is protected from being denied coverage based on the acts or omissions of the named insured or the insured’s noncompliance with the terms of the policy. For clarity, this article refers to the clauses as the standard mortgage clause and the loss payee clause. It may seem harsh to compel an insurer to pay for loss clearly excluded by the policy or even preventable had the insured complied with the policy’s conditions, but this is why the standard mortgage clause exists. [T]he purpose of a standard clause is to protect the named mortgagee and assure that the mortgagor or insurer cannot defeat its insurance interests. Typically, a mortgagee has no control over a mortgagor’s representations and no knowledge or means of knowledge of facts upon which the mortgagor’s representations are based. Standard clauses are included in insurance policies in order to prevent the mortgagee from being bound by acts over which he has no control: the indemnity of the mortgagee is not placed at the whim of his debtor, and is subject only to breaches of which the mortgagee, is, himself, guilty. A few recent cases from Illinois illustrate the durability of the standard mortgage clause in resisting otherwise applicable barriers to coverage. In Sagar Megh Corporation v. United National Insurance Company, the court had previously held that the insured’s compliance with a protective safeguards endorsement was a question for the jury, yet did not delay issuing a second opinion addressing whether the mortgagee’s recovery rights were impacted by that compliance. Recognizing the policy’s “standard” mortgage clause, the court held “the act of a mortgagor-owner-insured cannot affect the right of the mortgage-loss payee to recover under the insurance policy” and the insurer was “prevented from asserting the defenses it has against Sagar Megh against” the mortgagee. The standard mortgage clause rendered resolution of the insured’s compliance with the protective safeguards endorsement completely irrelevant to analyzing coverage for the mortgagee. In Old Second National Bank v. Indiana Insurance Company, the court analyzed whether a mortgagee could recover under a policy that excluded coverage for buildings vacant longer than 60 days and where the trial court had already held the building’s vacancy excluded coverage for the insureds, who had left it vacant. The insured did not dispute that the policy contained a “standard” mortgage clause. Instead, the insurer argued that “it was within its rights to define the scope of the risk that it assumed, and that vacant buildings, notoriously subject to increased exposure to vandalism and theft, were expressly excluded from that risk under the terms of its policy” and that “the fact that the building was allowed to remain vacant for sixty days was not an ‘act’ or default of the insured, but merely amounted to an unacceptable condition of risk.” The court agreed that an insurer may set limits of its liability under a policy, but held “the vacancy clause did not relieve the insurer of responsibility to cover the mortgagee, as long as the mortgagee met its responsibilities under the policy” and the loss did not result from the mortgagee’s breach of the policy. Unfortunately for property insurers, these holdings are not unique to Illinois. In light of this adverse case law concerning the nearly absolute right of mortgagees to recover under property insurance policies, insurers should remember that disclaiming property coverage based on an exclusion or failure to meet a policy condition will not close the matter if a mortgagee is named on the policy and a strategy should be formulated to resolve the mortgagee’s claims quickly and efficiently. Hastings v. Westchester Fire Ins. Co., 73 N.Y. 141, 154 (1878) (Rapello, J., concurring). Stonegate Ins. Co. v. Hongsermeier, 2017 IL App (1st) 151835, ¶ 17, 72 N.E.3d 869, 874–75 (citations and internal quotations omitted). 49 Ill.App.2d 209, 211, 199 N.E.2d 44, 45 (Ill. App. Ct. 1964). Id. at 215, 47 (citing Crawford, for Use of Stone v. Aachen & Munich Fire Ins. Co., 100 Ill. App. 454, 454 (Ill. App. Ct.), aff’d sub nom. Aachen & Munich Fire Ins. Co. v. Crawford, 199 Ill. 367, 65 N.E. 134 (1902)). LaSalle Nat. Bank v. Fed. Emergency Mgmt. Agent, No. 84 C 9066, 1985 WL 2081, at *4 (N.D. Ill. July 26, 1985) (internal citations and quotations omitted). No. 12-CV-4959, 2013 WL 5951771, at *6 (N.D. Ill. Nov. 6, 2013). 999 F. Supp. 2d 1018, 1022 (N.D. Ill. 2013). 2015 IL App (1st) 140265, ¶ 14. Id. at ¶ 25 (citations omitted). 2017 IL App (1st) 151835, ¶ 32, at 878. Id. at ¶ 32, 878–79. Id. at ¶ 34, 879 (citing W. Bend Mut. Ins. Co. v. Salemi, 158 Ill. App. 3d 241, 249, 511 N.E.2d 785, 789 (Ill. App. Ct. 1987)).